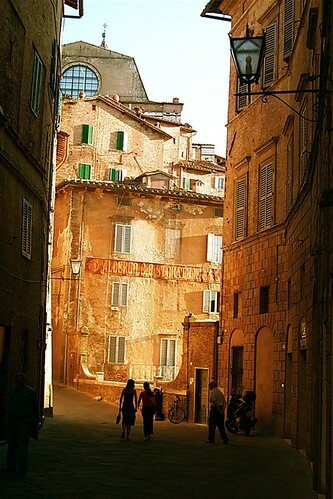 With our long, cold winter refusing to give way to spring (current temperature -2C) our thoughts turn to a summer stroll through the streets of Siena. Wish we were there, wish it were summer. I’ve been going through several years’ worth of posts on this blog as part of the redesign process, and it hasn’t always been a pleasant experience. Especially when you come across some of the really stupid things you’ve said (often more than once)! I thought ridey.net had a fairly extensive robots.txt file, then I came across this one on the White House website. Surely the longest on the web at 1,675 lines! Got something to hide, George buddy? Charlie’s favourite thing in the whole world at the moment is Lego Star Wars. We’d held out against letting him get into computer games up until now, but a few weeks ago I downloaded a demo of the game and thought it was pretty good/relatively harmless, so went out and bought the full version. Needless to say, Charlie is a Jedi master already. I marvel at his ability to figure out the various problems the game throws up. His knowledge of all things Lego Star Wars is practically encylopaedic! “Up until now, Mac users have been unable to watch archived games on baseball’s TV website (mlb.tv) in full screen mode — this is due to these games only being available via an embedded Windows Media Player. Solution: Simply trash the WMP plugin found in System/Library/Internet Plugins. The next time you attempt to watch an archived game, you will get a dialog box saying “Safari can’t display content on this page … some content on this page requires an Internet plug-in that Safari doesnât support. The application ‘Windows Media Player’ may be able to display this content. Would you like to try?” Just click OK, and Windows Media Player will launch, and you will be able to use full-screen mode. Update: If you’re using the Flip4Mac player instead of Windows Media Player, follow the above only removing the Flip4Mac plugins from System/Library/Internet Plugins. Also, MLB.tv appears to have developed its own player, so we’ll have to see how things go when I renew my MLB.tv subscription. Check back for more updates! Update 2: Well, still no sign of that new media player from mlb.tv as of 21 April, and things haven’t gotten any better for us Mac users. One new thing I’ve tried with Flip4Mac is to tick the Launch Quicktime Player box in the Flip4Mac preferences in System Preferences. Then quit and relaunch Safari or Firefox and next time you try to view a game it will open in Quicktime, which seems to give a higher quality experience, and you can watch in full screen. One of the main problems though, with archived games at least, is that they seem to have up to half an hour of whatever was on the TV station before the game started and you can’t fast forward through it. They really need to sort this out at mlb.tv. I’ve also had more trouble with breaks in the stream and buffering but this could be down to the increased popularity of mlb.tv. Will test things out on my Windows PC and see how things are working on it. If I have the same buffering/half hour of WGN news problems, at least I’ll know it’s not a Mac-only problem. It’s very much a work in progress, so bookmark this page and watch this space! Author rrideyPosted on March 3, 2006 Categories GeekeryLeave a comment on Welcome to our new look!